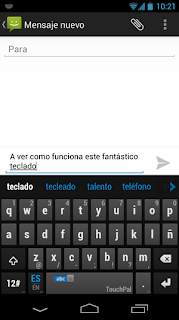 Publishers CooTek have just released their keyboard App for Android smart phones and tablets. The award winning developer says that the TouchPal X is next generation of keyboard technology for Android smart phones and tablets. CooTek has made the keyboard available free of charge as of now. 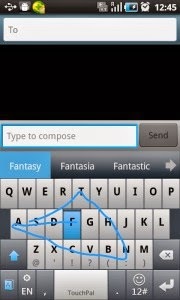 TouchPal X has a unique system of prediction in place. It analyzes your unique input to predict words and keeps on learning from your usage of the language while you access the Apps like Twitter, Gmail and SMS on your Android smart phones and tablets. The more it learns about your unique terminology the more accurately it predicts the word. 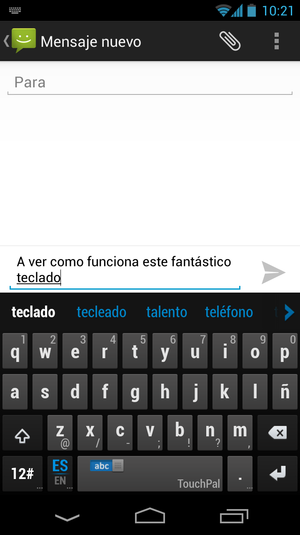 So with time you will shave of more and more time as the TouchPal X get used to your own input style. Furthermore it even keeps you informed on how much time you're saving through an on-keyboard speed meter and speed statistics tab. Studies have shown that once TouchPal X understands your word choices fully, you can save 90 percent of keystrokes and double your speed from 50-60 WPM (average speed of text input) to 121.7 WPM. From downloadable skins to button sizes and other typing preferences, you can tailor the keyboard to your own unique texting style with the TouchPal X. TouchPal X supports a number of innovative layouts, including a one-handed layout for large touchscreen devices, and more than 30 new keyboard themes and Emoji X features to show your personality and emotions. You can download this highly versatile App from Google Play. If you want the APK of the App, kindly click this link. iPhone, iPad and iP0d Touch users can download this App from this Apple's Chinese Apple Store link.